If you’re spending the advertising money to drive traffic to a landing page, you need to not only have a watertight landing page that's properly designed but a clear intention of what you want your user to do when they get to the page. 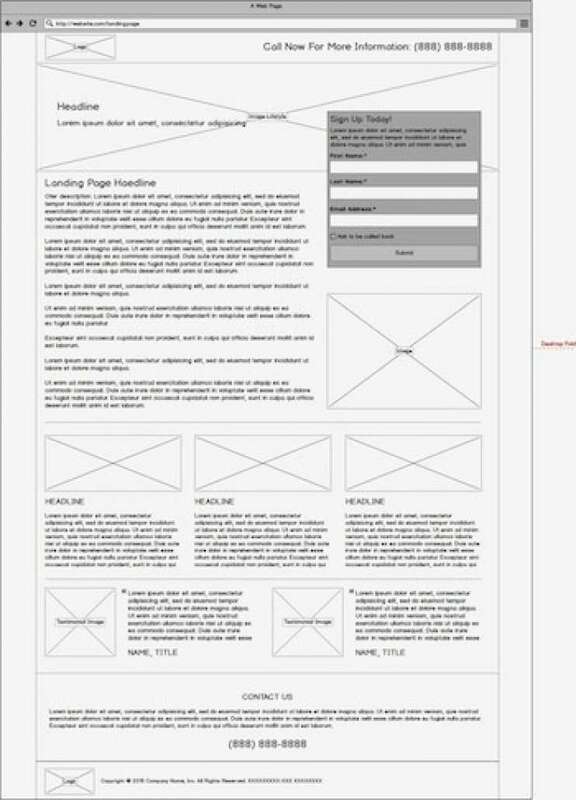 The intention of the landing page should be what drives the design of the landing page and the direction of the copy. Below we break down our top Six Rules to follow when building a converting lander and how to construct landing pages with the calls to action needed to optimize media spend and reach desired ROI. When a customer goes to a landing page the last thing businesses want them to do is leave it by featuring too many options to click on or that do not relate to messaging. Don’t distract customers with too many options. This is what we call a “leaky” landing page. Also, don't put your website’s usual header at the top of the page’s navigation bar. It might seem counterintuitive but you want to minimize every opportunity a customer has to leave the lander before completing the call to action that drove them to the lander in the first place. If a customer feels the need to navigate away from the landing page, then the landing page is not properly answering all their questions and a challenger landing page should be created. Make sure the landing page has a clear, single call to action that echoes the call to action that drove the customer to the page in the first place. If a page is advertising 50% off glass stemware, the landing page better have clearly spelled out the offering at the top of the page in a clear headline with a strong call to action. An example of a strong, single CTA is: Get 50% off All Glass Stemware. Shop Now! The offer is stated. The direction is specific with one call to action: shop now. And if this customer clicked on an ad, it’s more than likely because they want to purchase glass stemware at 50% off. Don’t make it difficult for a shopper to buy the specific glass stemware at 50% off with too many additional offers or other CTAs. Be sure to place a strong hero image that clearly shows the item(s) or services that you are selling. If there is a video demonstrating the product or service, even better. Start with it at the top of the page, below the call to action, but plan for a B/C/D variant to test other locations on the page. The video should be between 30s–1min in length and clearly demonstrate the product or services being sold. Don't waste valuable time by showing a clip of your logo or other irrelevant information: get straight to the point and allow users to see your value proposition. If you’re collecting customer information, make sure your form doesn't have more than 3–5 fields that the customer has to fill out. Now is not the time to get the full customer profile. Get the basic info if you can (name, email address, location) and work them into your CRM program. You can ask for more information and we will cover that in another “Progressive Profiling” blog post. Can you provide good customer testimonials? If you can, be sure to include them, with pictures if possible. Customer testimonials boost your brand’s credibility and can be a powerful motivator when it comes to making a purchase decision. Now that you have the basics of what makes a good lander, go out there and drive some conversions!